Huh? I wasn’t sure what she was talking about, or if she was even talking to me. But she might have been talking about my pump, and being the same one that gave me problems during that encounter, I started to worry that something may be wrong. “I thought that because now everyone uses cellphones and iPads…”. Oh, now I get it. It’s the old Pager Error. 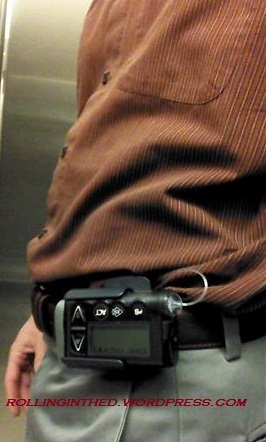 “No, it’s an insulin pump”. And that was it. I wasn’t about to explain what diabetes was. I was hungry, and the people behind me in line were getting impatient. Posted on April 4, 2014, in Diabetes, Personal. Bookmark the permalink. 4 Comments. These errors will get less and less frequent as the people familiar with pagers die off. Cherish these moments. This is funny…… is that sad? Katy has the best comment.